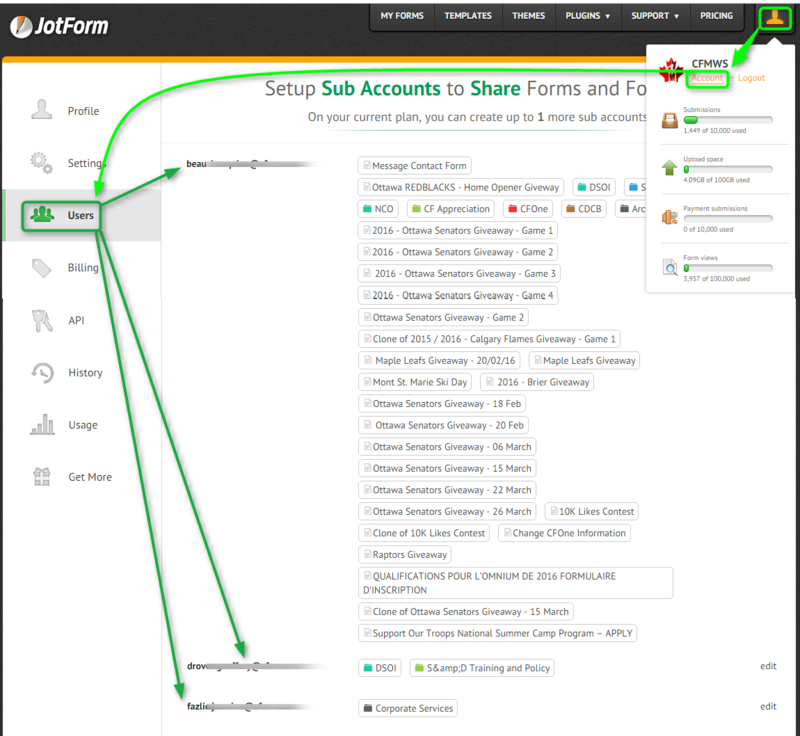 How can I view a list of all of my jotform sub-account users? I am managing our JotForm account after the departure of a colleague, and am looking for a list of our current sub-user accounts. It does not appear as part of our account profile. Is that information available somewhere? Yes, you can find your current sub-account users in your My Account >>> Users page. You can also read more about sharing forms with sub-account users which may be helpful.